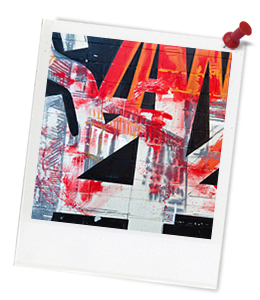 Quick summary: In this lesson of theory and art making, students will explore text in art. They will critically examine a range of contemporary artists who utilise text in their practices, before creating a text-based artwork of their own. Faber-Castell has long understood the importance of creativity to all people, especially to young people. It is also continuously searching for environmentally-friendly processes and high-quality materials to enhance children’s creative experience throughout every development phase. For more information about Faber-Castell, click here. Students form opinions about the use of text in art, based on contemporary and historical practices. Students use a range of drawing techniques to create works that comment on social issue. Relevant parts of Year 9 & 10 achievement standards: Students evaluate how representations communicate artistic intentions in artworks they make and view. They identify influences of other artists on their own artworks. Students manipulate materials, techniques and processes to develop and refine techniques and processes to represent ideas and subject matter in their artworks. Unit of work: Creative Sustainability – Visual Arts – Year 9 & 10. Level of teacher scaffolding: Medium – Facilitate class discussions and student art making. Resources required: Student Worksheets – one copy per student. Device capable of presenting a video to the class. Student’s own Visual Arts Process Diaries. Sticky notes. A class set of lead pencils and Calligraphy Brush Pens or other calligraphy pens (in a variety of colours). Good quality A3 paper – one per student. Optional: Calligraphy Techniques handout, printed. Keywords: Art, text, drawing, sustainability, social sustainability. Students analyse a range of artworks for their ability to engage using text. Students choose and utilise appropriate art making techniques in their practice. Students draw on existing artworks as inspiration in their art making practice. Thought starter: The power of language can be used in art. Describe the line you have made on the board. What does this line show you about your opinion around this topic? How did your opinions compare to the rest of your class and why do you think this is the case? 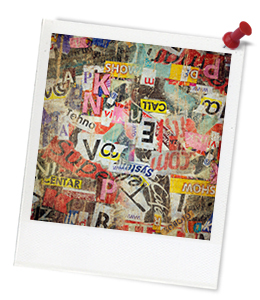 Lens 1 – Words: Use this lens to explore the text on the page. If your artwork has multiple words, scan the work and select the 1-3 key words. Investigate these words using synonyms. How could this add to the work's meaning?